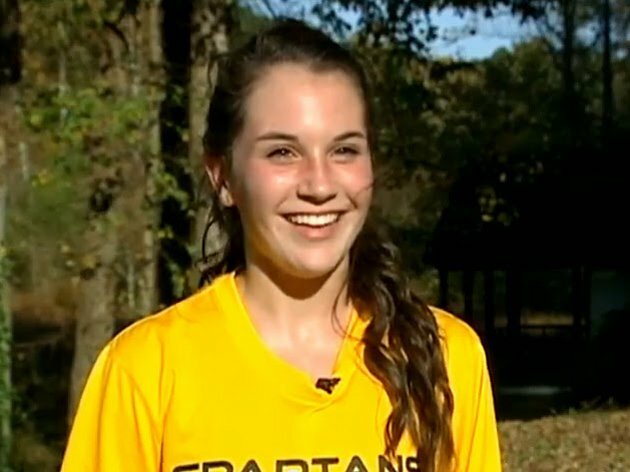 Multiple sclerosis didn’t stop high school student Kayla Montgomery from becoming a long distance runner champion. Her drive and determination has inspired millions of people. Multiple Sclerosis is a disease affecting the central nervous system, which causes severe damage on the nerves resulting to a loss in communication between the brain and the rest of the body. The damage varies according to the severity of the condition. Mostly, the disease affects the spinal cord and its function causing people with MS to lose their ability to walk. Unfortunately, there is no cure for multiple sclerosis. Treatments can help alleviate the pain and other symptoms, but there is no known cure for this disease. Running triggers Kayla’s MS, which causes numbness in her legs, making her unable to come to a full calculated stop. Her coach is always on stand by to catch her each time she falls after she finishes a race. Lipscomb University in Tennessee offered her a scholarship. The future is bright for our young runner, Kayla Montgomery. She won’t let her disease hold her back and stop her from chasing after her dreams.